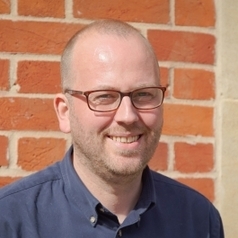 Dr Julian Hargreaves is a Research Fellow at the Woolf Institute, a Visiting Fellow at the Centre for Islamic Studies (University of Cambridge) and a Research Associate at St Edmund's College, Cambridge. He holds a PhD in Applied Social Science and an MRes (Distinction) in Criminology from Lancaster University, a GDL and LPC from the College of Law, London, and a BA (Hons) in Historical Studies from Manchester Metropolitan University. His research interests include British Muslim communities, statistics, the criminal justice system and issues around discrimination and tolerance. In a past life, he worked in show business.